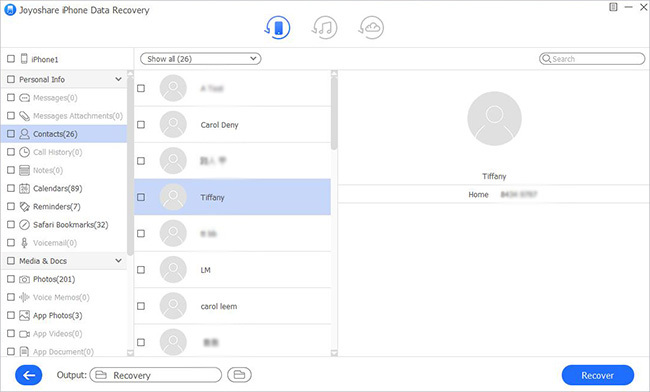 As is often the case, not everyone is in the habit of backing up iPhone data to iTunes or iCloud regularly. However, iPhone notes loss happens from time to time without any warning. What you can do to get deleted notes back from iPhone even without backup? It sounds like a tricky thing and hard to operate for inexperienced iPhone users. Don't be upset. 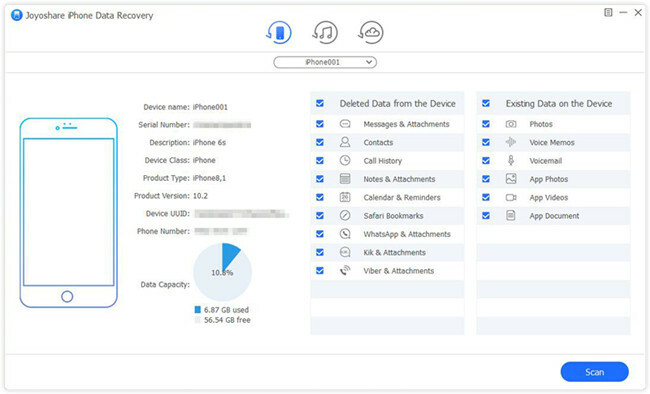 If you'd like to know how to recover notes from iPhone without backup in different way, you should not miss the contents below. Part 1. How to Restore iPhone Notes without Backup - "Recently Deleted"
The top priority to recover deleted notes on iPhone is to make the most use of "Recently Deleted" function on Notes app. 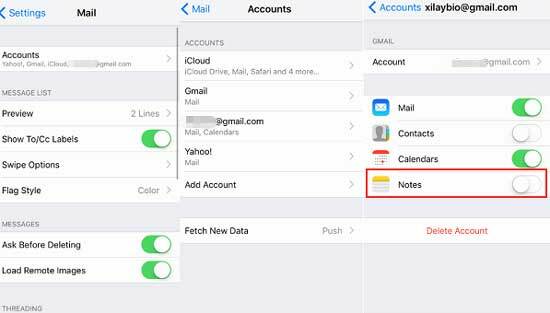 This straightforward method helps to keep deleted iPhone notes for 30 days, or up to 40 days. Here's how. Step 5: Go to the folder you move notes to and check the recovered notes as you like. Note: You are supposed to utilize this solution within the available recovery period. After that, all deleted notes will be removed from "Recently Deleted" folder. Besides, it only supports notes deletion situation and is not applicable to more scenarios, like system crash, factory reset, etc. Step 3: Turn "Notes" on and access Notes app to have a check. The one who prefers to a flexible data recovery solution can ask Joyoshare iPhone Data Recovery for help. This comprehensive software is capable of only selecting desired items for recovery and allows to preview all recoverable contents in real time. Most attractively, it has ability to scan, search, analyze and retrieve iPhone notes at super-fast speed, which takes up less disk space than others. Data, including the deleted and the existing, the common and the encrypted, can be supported thoroughly. Additionally, any model of iPhone, iPad and iPod touch can be compatible without trouble. 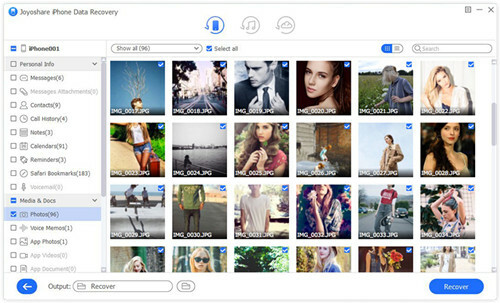 You can even use it to extract photos, videos, iMessages, reminders and more from iDevice directly. It's time for you to learn how to recover deleted notes on iPhone without backup by using Joyoshare iPhone notes recovery program. First of all, you ought to download and install it from the official website on your Windows or Mac. 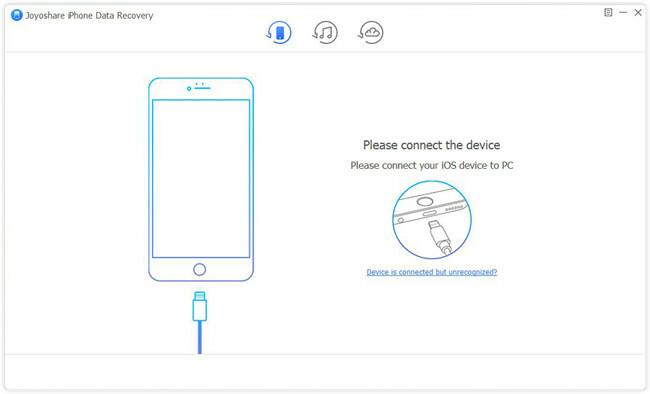 Get Joyoshare iPhone Data Recovery launched on your computer and go ahead to connect your iPhone with an original USB cable under "Recover from iDevice" mode. The one who first time connect iPhone should remember to "Trust" computer. Step 2 Select and scan "Notes & Attachments"
Shortly after, Joyoshare iPhone Data Recovery will detect and recognize your iPhone and at the same time display all device info. On the right part, all supported data types are checked by default. Uncheck and mark "Notes & Attachments"; click on "Scan" button to start to search notes from iPhone. Once the scanned data are classified into categories, you can filter out needless data or have a quick search. Then continue to preview them and only get what you need ticked. Simply press on "Recover" button to save them to computer.